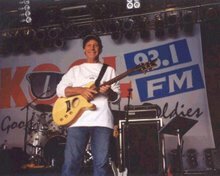 Welcome to the official blog for Oldies Connection, which is celebrating its 10th year online in 2014. When I first started Oldies Connection in early 2004, the site consisted of fewer than twenty pages; since then, it has evolved to more than 1,000—all of which pay homage to the singers, groups, and great music from the 1950s, 1960s and 1970s. In addition to original writeups and music reviews, Oldies Connection contains two birthday lists (one by date, one alphabetical); three memorial pages (one alphabetical, one by date, one by year); an Oldies Radio page, which lists oldies broadcast radio stations by U.S. state; an Internet Oldies page (online-only oldies stations); and the pièce de résistance, The Artists of Oldies Connection, which features an alphabetical list of links for nearly one thousand singers and groups who got their start in the '50s, '60s, or '70s; each link navigates to a page that has links to the artist's official web site, Facebook page, Twitter feed, and MySpace profile, if applicable, as well as to Wikipedia pages and YouTube search results and/or official channels. Each artist page also has graphic links to CD/MP3 product pages on Amazon.com; many of these are via widgets that update automatically with the latest releases. There's also Laura's Little Shop of Oldies, powered by Amazon.com, where visitors can browse for music and books directly on Oldies Connection. 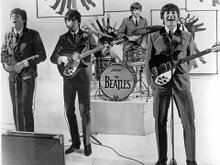 I've done the work so you don't have to; everything is organized by category, and clicking on a category name (i.e, The Beatles) will bring up any subcategories (i.e., John Lennon, Paul McCartney, George Harrison, Ringo Starr). The store includes a Search box in case you don't see what you're looking for. Oldies Connection is all over the Web. In addition to the main site and Facebook Page, there are also Twitter feeds, Pinterest boards, and several blogs on Blogger, Wordpress, and Tumblr. An "Arrivals and Departures" blog is posted every Sunday on the Oldies Connection blog, commemorating birthdays and anniversaries of passings coming up that week. Latest news is posted via Twitter, which is embedded on the home page. The newest page on Oldies Connection, Photos, has links to photo albums, Tumblr, Pinterest, and a few dedicated photo sites. The social media pages are continually active, and the main site is updated frequently and constantly expanding with new content. I refer to Oldies Connection as "your one-stop source for info on artists from the '50s, '60s and '70s," and that basically describes what the site is all about. Thank you for visiting Oldies Connection and for your continued support for these wonderful groups and singers from rock & roll's golden era.